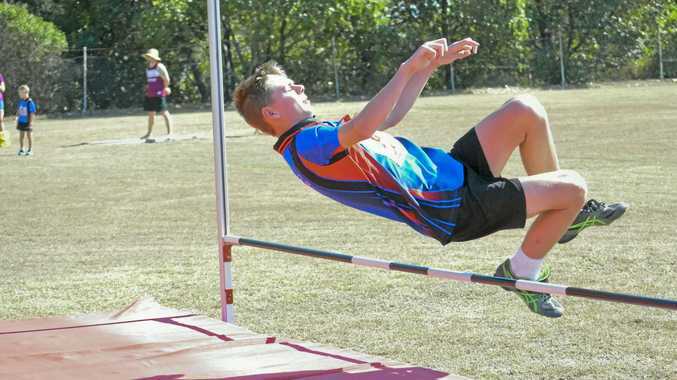 ATHLETICS: A bunch from the Gladstone Athletics Club has geared up for upcoming events with stellar performances recently at the Nordic Sport Central Coast Regional Championships in Gayndah. Twenty-four of the 26 junior athletes from the club have qualified for the Little Athletics State Championships in Brisbane next month, which will cover 101 events. GAC head coach John Sherriff said his charges shone in the heat as the Gladstone team secured 71 personal-best times and collected 39 gold, 32 silver and 18 bronze medals. "The Gladstone kids performed tremendously and again showed a very strong team bond," he said. "Four athletes set new regional records and Zoe Geiger set a new mark of 10.63 seconds in the under-12 girl's 60-metre hurdles. "Mack Geiger set a new mark of 13.94 seconds in the U14 boy's 90m hurdles." Caleb Wilson equalled the record for U13 boy's 100m and set a new mark for the 200m at 25.83 seconds. The athletes will now set their sights on the Gladstone Pentathlon on March 3. 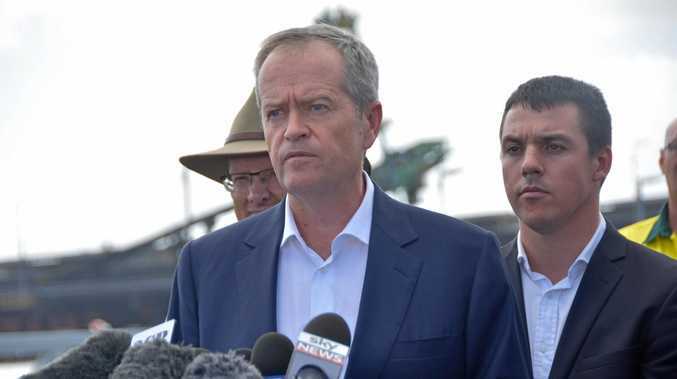 Sherriff said the event was open to all comers aged six to open and usually attracted entries from all round Central Queensland. "It might be a good pre-season event for other sports in town to check out their fitness and we'd like to challenge other sports teams or businesses in Gladstone to participate," he said. U9 Girls 70m: 1. Matika Ghilotti GLD 11.88. 100m: 2. M Ghilotti GLD 17.37. 800m: 1. Zeeta Geiger GLD 3.23.42. 60mH: 1. Z Geiger GLD 12.36, 2. M Ghilotti GLD 12.62. LJ: 1. Z Geiger GLD 3.09, 2. M Ghilotti GLD 3.00. HJ: 1. M Ghilotto GLD 0.94. Dis: 1. Z Geiger GLD 14.94. SP: 1. Z Geiger GLD 5.13. U10 Girls 70m: 2. Alexis Bukowski GLD 11.73. 100m: 3. Cara Corke GLD 16.19, 4. Aylah Garland WBG 16.24, 5. B Rowe ISIS 18.02, 6. Katherine Loakes GDH 21.54. 200m: 2. C Corke GLD 35.67. 400m: 2. C Corke GLD 1.23.01, 3. Candice Tegguns GLD 1.25.40. 800m: 1. C Tegguns GLD 3.06.35. 60mH: 1. A Bukowski GLD 12.23, 4. C Tegguns GLD 13.02, 5. M Sharpe GLD 14.37. LJ: 3. A Bukowski GLD 3.40, 5. C Corke GLD 3.19, 6. M Sharpe GLD 3.00, 7. C Tegguns GLD 2.76. HJ: 2. C Corke GLD 1.02, 3. M Sharpe GLD 1.02, 4. C Tegguns GLD 0.93. Dis: 1. A Bukowski GLD 17.50, 4. M Sharpe GLD 15.19. SP: 1. A Bukowski GLD 7.29, 2. M Sharpe GLD 6.09 U11 Girls 400m: 2. O Geiger GLD 1.24.11. 1500m: 1. O Geiger GLD 6.56.86. LJ: 4. O Geiger GLD 3.30. TJ: 2. O Geiger GLD 7.08. Dis: 4. O Geiger GLD 11.40. U12 Girls 100m: 1. B Tegguns GLD 15.41, 4. S Gibson GLD 17.03; 200m: 2. B Tegguns GLD 32.47. 800m: 2. B Tegguns GLD 3.14.56. 60mH: 1. Z Geiger GLD 10.63(Rec), 2. S Gibson GLD 14.93. LJ: Z Geiger GLD 4.11, 3. B Tegguns GLD 3.59, 4. S Gibson GLD 3.27. HJ: Z Geiger GLD 1.25. TJ: 3. B Tegguns GLD 6.97. Dis: 2. Z Geiger GLD 22.30, 4. S Gibson GLD 14.31. SP: 2. S Gibson GLD 6.65. Jav: 1. Z Geiger GLD 24.13. U13 Girls 1500m Race Walk: 1. C Pomeroy GLD 11.56.60. Dis: 10. C Pomeroy GLD 11.60. U14 Girls 100m: 2. L Gibson GLD 15.43. 80mH: 3. L Gibson GLD 17.51. HJ: 2. L Gibson GLD 1.20; TJ: 3. L Gibson GLD. Jav: 4. L Gibsob GLD 18.63. U16 Girls 100m: 1. A Hare GLD 14.00. TJ: 1. A Hare GLD 7.90. Dis: 1. A Hare GLD 25.35. Jav: 1. A Hare GLD 29.17. U17 Girls 100m: 1. E Wood GLD 16.44; 200m: 1. E Wood GLD 36.11. LJ: E Wood GLD 2.88. TJ: 2. E Wood GLD 6.76. .Jav: E Wood GLD 12.84. PARA ATHLETES: Boys 100m: L Harris GLD 18.83; 400m: L Harris GLD 1.55.18. U8 Boys 70m: 4. Adam Pomeroy GLD 12.94. 100m: 4. A Pomeroy GLD 17.70. Dis: 3. A Pomeroy GLD 10.28. SP: 2. A Pomeroy GLD 5.36. U9 Boys 100m: 2. Bailey Silvester GLD 16.60. 200m: 2. B Silvester GLD 35.48. 400m: 4. Deacon Pomeroy GLD 1.35.84. 800m: 5. D Pomeroy GLD 3.31.58. 700m Walk: 2. B Silvester GLD 3.29, 5. D Pomeroy GLD 2.84. HJ: =4. B Silvester GLD 0.95, 6. D Pomeroy GLD 0.90, =7. Dis: 2. B Silvester GLd U10 Boys 100m: 4. Ethan Bates GLD 16.47. 60mH: 2. E Bates GLD 12.30. LJ: 4. E Bates GLD 3.46. Dis: 1. E bates GLD 25.52. SP: 1. E Bates GLD 7.40. U11 Boys 100m: Z Pomaroy GLD 19.08. 400m: 5. R Heinemann GLD 1.38.47.; 800m: 6. R Heinemann GLD 3.37.98.; 1500m: 3. R Heinemann GLD 7.44.93. LJ: 8. Z Pomeroy GLD 2.4. TJ: 6. R Heinemann GLD 6.01. Dis: 6. Z Pomaroy GLD 13.37, 8. R Heinemann GLD 10.39; SP: 5. Z Pomeroy GLD 6.96, 6. Z Pomeroy GLD 11.85. U12 Boys 100m: 2. E Sharpe GLD 14.75(14.59P). 800m: 3. H Leis GLD 3.07.95. 1500m: 3. H Leis GLD 6.45.61. HJ: 3. H Leis GLD 1.22. TJ: 1. E Sharpe GLD 8.20, 2. H Leis GLD 7.84. Dis: 1. E Sharpe GLD 22.40. SP: 3. E Sharpe GLD 7.08. Jav: 1. E Sharpe GLD 25.25. U13 Boys 100m: 1. C Wilson GLD 12.74 (=Rec), 4. M Heinemann GLD 14.75. 200m: 1. C Wilson GLD 25.83 (REC), 5. M Heinemann GLD 31.80. 80mH: 1. C Wilson GLD 14.06, 3. M Heinemann GLD 17.19. LJ: 3. M Heinemann GLD 4.15. TJ: 2. C Wilson GLD 9.89. Dis: 1. C Wilson GLD 31.20. U14 Boys 400m: 1. M Geiger GLD 1.02.63. 90mH: 1. M Geiger GLD 13.94 (REC). 200m H: 1. M Geiger GLD 30.10. TJ: 2. M Geiger GLD 10.73. Jav: 2. M Geiger GLD 30.19.